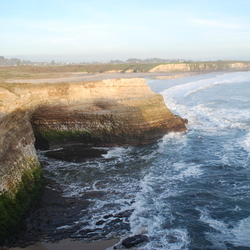 On this 2.5 mile, 2-hour family friendly walk, we’ll explore the plants, animals, and geology of our coastal bluffs. Bring water, hat, closed toe shoes, and layered clothing. Meet at the interpretive center. For more information, please call (831) 426-0505. Event free. Vehicle day use fee is $10.